Welcome to my new series called What I Learnt From..., in which writers share what they have learnt from a particular aspect of their work; maybe from a brilliant course they attended, maybe from working with an editor, maybe from receiving a useful critique or entering a competition. I am delighted to welcome Heidi Swain here today to start off the series. As you can see, she is looking very sparkly - and deservedly so, after the success of a string of novels for Simon & Schuster. Many thanks for agreeing to be the first writer to contribute to this series, Heidi. It is lovely to welcome you back here again. Hello everyone and welcome to my ‘what I learned from’ contribution to this fabulous feature which is the brainchild of lovely Sue. As always I would like to kick things off by thanking my host for inviting me to take part and giving me the opportunity to have a long hard think about what I have learned during my writing journey, even if it has made for some pretty awkward soul searching. You see, I thought it would be fun to share with you what I have learned about my writing process during the last three years. In that time (or just over), I have produced 6 books, all of which will have been published by summer 2018 and may even be gracing the shelves and e-readers of a few of you. However, some of what I discovered when I sat down and really thought about the process of writing them, was difficult to accept. The dream versus reality was a bit of a shock to the system. You could be forgiven for thinking that having gone through the routine 6 times already, 5 of those with a tight publishing schedule to stick to, that I would have got the nuts and bolts pretty much in place by now, but when it comes to writing summer books, ie those that will hit the shelves in time for the summer hols, there seems to be an unexpected pattern forming. 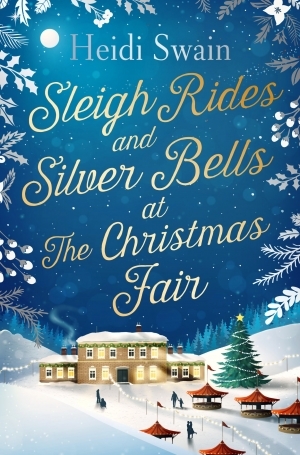 I have found that writing a Christmas book is a totally different kettle of fish and from what I can work out it all comes down to timing. Last year the pattern began to form as I was writing Coming Home to Cuckoo Cottage and this year it’s transpired again with the as yet untitled Novel Number 6. The story is set, the plot is planned (to the same degree as I always plan), words are written, (in this instance around 30,000 of them)… and then it all goes belly up. What, in theory at least, back in June looked like a couple of clear months to nail the first draft are rudely interrupted by academic holidays, Christmas edits and all manner of other commitments which kick in and it is at this point that I abandon progress in favour of trawling over the first ten or so chapters. I edit, I fiddle, I readjust and rethink and all the while my head is telling me to just get on with it, but I don’t. For a while I cave, and I fiddle and I think and I readjust. And then, just when I think I’ve reached crisis point, the switch if flicked and I’m off and running. This year I wrote 67,714 words in 20 days which, added to the 30,000 I already had, meant that I had a solid first draft by the beginning of September. 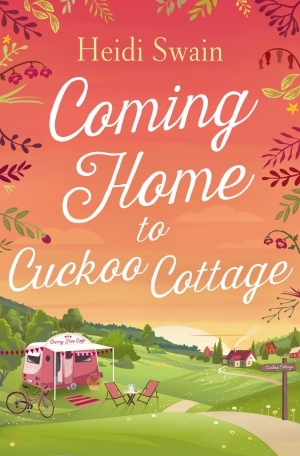 Having gone through the agony of it once with Cuckoo Cottage I had no idea why I didn’t rethink and put off writing Novel Number 6 until I had properly cleared the decks, but what I do know is that my readers love Cuckoo Cottage, so clearly there was no harm done and knowing me, I’ll do it all again next summer. Perhaps it’s like childbirth – the memory of the pain is diminished between labours to ensure the future of humankind! I’m teaching a one day ‘writing a novel’ workshop later this year and I know I’ll be advocating the ‘don’t look back’ philosophy but coupled with that, now that I am aware that I don’t actually practice all that I preach, I’m going to be throwing in a healthy dose of ‘acceptance and adaptability’ as well. Every author has a different way of doing things and we can read all about their methods and perhaps even give what works for them a go, but actually, when it comes to getting the words down, the most important thing that I have learned is that we need to find our own way and embrace it. Don’t apologise that it doesn’t conform, just accept it and write with it. Be confident in what works for you and yes, please do feel free to get in touch next summer and ask if I’m making a muddle of it all over again! What a great idea for a series on your blog, Sue. I thoroughly enjoyed reading your first post, Heidi, and am in awe of your word count and the number of books you've written. I think I'll have to go and lie down! Seriously though, it was lovely to read about your commitment and your success. Finding what works for us is a good philosophy, I think. Thank you both! "We need to find our own way and embrace it." This. So much this. Thank you, Heidi for these wise words which should be a mantra for all writers! And thanks to Sue for coming up with this series. Heidi's post is a brilliant start & I'm looking forward to hearing from your upcoming guests too. Kate, I agree with you about the cover of Sleigh Rides and Silver Bells. It is my favourite of all of Heidi's covers. Hi, Tara. I'm glad you like the idea of the series. I'm looking forward to hearing from other writers, including Jessica Redland, Julie Stock and Maddie Please. I hope you'll be back to see what they have to share. Love this. 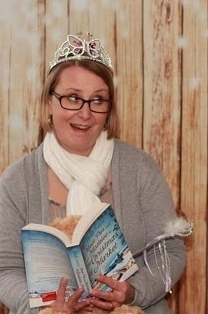 What a great idea for a series, Sue, and what a fabulous post from Heidi to kick it off. Seriously, 67,714 words in just 20 days? That's insane/utterly amazing! I really need to get my head down. Thanks for dropping by, Wendy. I'm glad you enjoyed reading Heidi's post. Hi, Catherine. I think lots of writers will recognise themselves in the 'procrastination, then heads down' approach to their work. Thanks for commenting. That is an impressive word count, I'm with you on the procrastination followed by heads down approach. Hi, Julie. You're right - Heidi's way of working has turned out very well indeed for her. It is easy to feel that the 'rules' have to be followed, but I believe that every writer has to find their own system, which might or might not be suitable for someone else. As long as I have known her, Heidi has always been able to produce huge word counts in relatively short time periods. Once she gets stuck in, there is no stopping her!